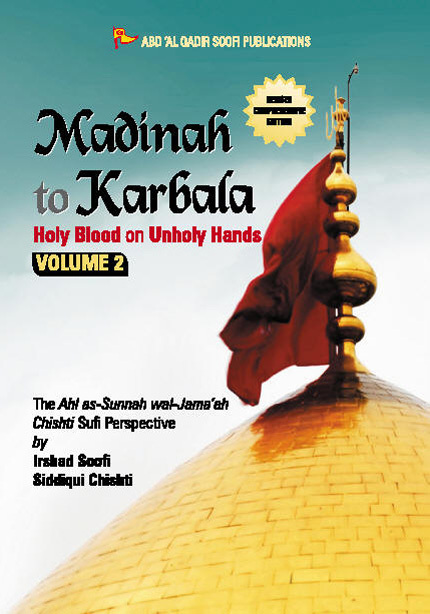 A spiritual affiliation with the members of the Household of the Holy Prophet Muhammad (ahlul bayt) which is characterised by love for his noble family is an aspect of Islamic tradition which has largely been ignored, unconsciously due to a dissemination of a sectarian brand of Islam that have purchased and controlled by a particular sect in the Modern Muslim World after the closure of the Political Caliphate. Love and reverence for Ahlul Bayt seems to have been confined to a ceremonial acknowledgement in salawat or during the Friday Sermon. This is not the role envisioned by Allah Y and the Holy Prophet Muhammad. Indeed, their active role in shaping Islamic political history, the monumental contributions of the al-Khulafā’u r-Rāshidūn (The Righteous Caliphs) in maintaining the political and religious stability, the noble blessed wives to the intellectual tradition, and love for Sayyiduna Ali t, Sayyida Fatimah y, Imam Hasan t and Imam Husayn t, -in particular- as a means of spiritual elevation are perpetuating legacies within Dynamic Orthodox Islam as opposed to Conservatism and Modernism. The Holy Prophet Muhammad e 1400 years ago laid down the law that all human beings are born free and equal preaching the doctrine of universalism of divine guidance. These proud Arabs shook with anger when he said this. They took up arms when he preached all those global principles. The Holy Prophet e wrote the most illumined chapter in human history, where tribalism, racialism, caste, serf and master and all these things were wiped off. Eight years after his migration he conquered Makkah, the only conquest in history were not a drop of blood was shed. Sixty one years after the migration his grandson gave his life and the life of his family, the family of the Holy Prophet Muhammad e , the first protest march in the history of the world. Imam Husayn t carried the message of his grandfather from Madinah to Karbala watering the tree of liberty with his holy blood.